Visible, dynamic, proactive, inclusive, viable, and united, the COFRD serves the French community by offering a variety of programs and services responding to the community needs . 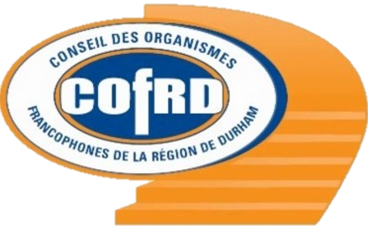 In the heart of the francophone community of Durham, the COFRD works towards the development, and ensures the vitality of the French community. A French employment Center at 57, Simcoe St. South, office 2D. A branch of the Librairie du Centre where French books, CDs, DVDs, dictionaries and more are available. Please acknowledge that it is the only place in the Durham region that sells many French products for all ages. Magazines including; Elle, Coup de pouce, Femme plus, Géoplainair, l’actualité etc. can be borrowed free of charge. French greeting cards: A large variety for every occasion for one low price. Photocopy and fax services at a low cost. Here is our program for the cultural season 2017-2018. For more information, or to buy tickets, please phone 905-434-7676 or email elegault@cofrd.org. Mario Jean quickly gained, and for a long time, has held a place in everyone’s heart in Quebec. He has performed over 1,200 shows to nearly a million spectators. Mario has become a fixture of the comedy scene. His unique and unifying comedy allows him to talk about issues in which people recognize themselves. His simplicity and spontaneity make him a complete artist with the most engaging personality. He’s returning to the stage today to perform his fifth one-man show. A show not to be missed! This is the title that Robert Lebel offers us this time! A priest with a poetic heart, he sings gospel songs based on daily life. His songs are like fine wine, they ripen best! He will share his recent songs including his greatest hits. After “Omnipresent”, a colorful show where the singer was surrounded by several musicians, Damien is back to offer “Piece by Piece”, a title inspired by a shirt! Maybe it’s up to you to draw conclusions. Some songs will be chosen from his first three albums. Who knows? Maybe there will be some new songs to discover. Robitaille is a likable poetic, sparkling, pure, deep and fun entertainer! Needless to say it’s an appointment not to be missed. Sandra will drive you in her insular world in which she tells through songs about the sea, lighthouse, love and poetry. From the beginning to the end, you are hung like a tightrope. The spectator is immersed in laughter and emotion with texts that speak to the soul. With this new show based on her album “Le phare”, with songs from her son Valéry Robichaud, you will discover another face of Sandra. Gilles Bélanger (12 hommes rapaillés) wrote six songs, and Sandra two. Cherry Chérie revives the passion, audacity and authenticity of the rock ‘n roll era with its retro-trash-candy music. With their original electrifying compositions, their delectable vocal harmonies, and incomparable stage presence, Cherry Chérie can stir up the crowds and move the buttocks! It’s “Time to be Happy” is a new show fashioned from the new album from the songwriter Éric Dubeau which is rich in songs that evoke the human capacity to change and reinvent himself. This will be an intense show, which will take you from the top of the Andes in Patagonia, passing by the ruins of the palace of an emperor in exile in Dalmatia, then through Louisiana and finally to northern Canada. An evening walk along the road of life, to follow the wind that guides us to happiness. A singular voice that resonates after too long a silence. Accompanied by a trio of thunder, Éric Dubeau will share rich songs of experience and deliver an intimate and mesmerizing performance. A musical encounter, intense and exciting! In the spirit of friendship and artistic collaboration, Yves joins his colleague Bernard Stéphane a multi-instrumentalist and very versatile musician, with a gift of adapting to several styles, but his passion to country music always comes out. In a more intimate setting, you will rediscover his songs through stories and interpretations of choice. Dayv Poulin’s songs will make you remember the feeling of special moments in our lives. They will wrap you in such an era of vital energy and assumed wisdom. This new show, “Le Paysagiste” offers us a powerful mix of live music and the striking effect will reach everyone. Découvertes is a French singing competition showcasing the talent of Durham’s youth in every age category. Découvertes 2018 will be held Sunday the 25th of February at the Parish Hall 384 Hillside Avenue, Oshawa. 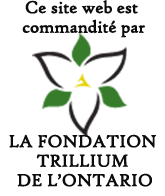 St-Albert Cheese Co-op, founded in 1894, is known as producer of the best cheddar and dairy products in the country and has won many prestigious awards. We coordinate orders on a bimonthly basis. The next order is on FEBRUARY 20th, 2018. You will be contacted for payment when your order is ready for pick up. In the early hours of the morning, a space ship that we thought to be a meteor, crashes and an alien takes refuge un a young couple garage. The couple and their friends soon find out that life on Gatonie is very different from Earth. The police chief, a little slow, works to find Clovis but all sorts of wacky adventures will make it so he will find anything. All we can say is you won’t believe your ears.